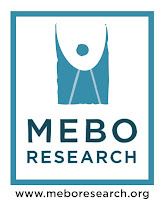 The results of Batch #11 of the MEBO TMAU Test Program were received from the lab. In this batch, there were a few sufferers who decided to take advantage of the $100 plus round trip shipping rate offer for their second test. The benefit to doing a follow-up test is that one can better measure the effects of the TMAU odor-management protocol on TMA levels. Living with an uncontrollable odor condition and getting a NORMAL TMAU test results can cause feelings of depression. It is normal to feel overwhelmed when receiving a TMAU test results that indicates that a sufferer does not have any of the forms of TMAU, see Differential Diagnosis. It's difficult to know where to go from here because of the lack of knowledge about odor conditions in general. We yearn to define and explain it simply because we want to have control over it. Unfortunately, science is not there yet. So, what do we have to work with? Genetic mutations resulting in odor conditions. Even though I believe in doing the TMAU test in an attempt to get some answers, I truly believe that the results either way are not the complete picture. In fact, many persons with a positive for TMAU test result cannot control their odor with the TMAU odor-management protocol (scroll down to read all posts). In my opinion, going on a low choline diet may only be scratching the surface of the problem-solution. I believe that we need to address the 5 questions above to truly get a better picture, and thus, to achieve greater control until researchers provide us with a more effective treatment, which hopefully will work not only for TMAU patients, but for other body odor conditions. In my opinion, i really think that researchers already know,but they are just not telling, just to get more money out of these sufferers, and if that is the case, may god punish them all, but again, this is my honest opinion, i really believe something more can be done, and its a shame, because there are cures for these diseases and conditions out there, but everyone is turning a blind eye to it. Some data is missing from this list compared to the last list. E.g. TMAO level 1007.52(#11 in last list), and TMA level 22.60 (#9 in last list) are missing. Or it may be the case that these levels belonged to the people who opted for the re-test, and their levels have decreased now, so the older values are deleted from the list. If that is the case I would like to know what are new levels of those patients with earlier TMA level 22.60 and TMAO level 1007.52, after following the odor management protocol. Please tell me about the other cases also who opted for the re-test. You are absolutely correct, anonymous, and thanks for pointing it out to me. It seems that I inadvertently updated the list of Batches 1 thru 9, instead of the list of Batches 1 thru 10. I will correct this over the weekend and put up the new chart that includes Batches 10 & 11. Sorry about that. 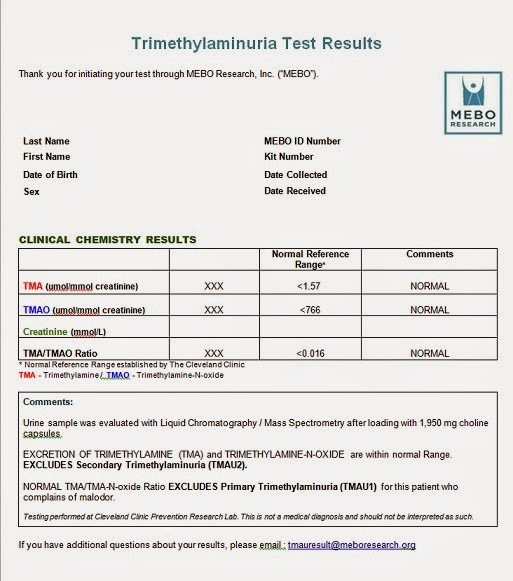 Will you please let me know Maria the old and new TMA and TMAO levels of all the patients who opted for the re-test; and after how long gap they took the re-test. I hope that all of them were following the recommended odor management protocol. The gap between the first tests and the follow-up tests usually is many months to over a year and in some cases more than a year. I'm sorry, but I can't discuss further details without compromising the confidentiality of the participants. Some first time testers also tell me that they have been on the TMAU odor-management protocol and want to see if their TMA levels are within normal range to determine whether they smell or not. 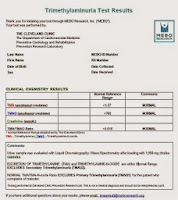 Unfortunately, there was no baseline test results taken before they started the protocol, but at least the test results were normal, indicating that they did not suffer from TMA odor. This is not to say that they are currently odor free, but it is to say that TMA is the the odorous chemical they are emitting.